Fancher Creek Storm Basin Pipeline – Yamabe & Horn Engineering, Inc.
As a requirement of the subdivision development of the Fancher Creek Business Park on Belmont Avenue between Fowler Avenue and Armstrong Avenue, creation of a storm basin and pipeline was completed. The pipeline started west of Fowler adjacent to the storm basin, measuring 72-inches in diameter, crossing the Fowler Avenue intersection before reducing to 60”. Traffic control involved partial closure of the intersection and continued the length of Belmont Avenue as the pipe ran down the middle of the street. 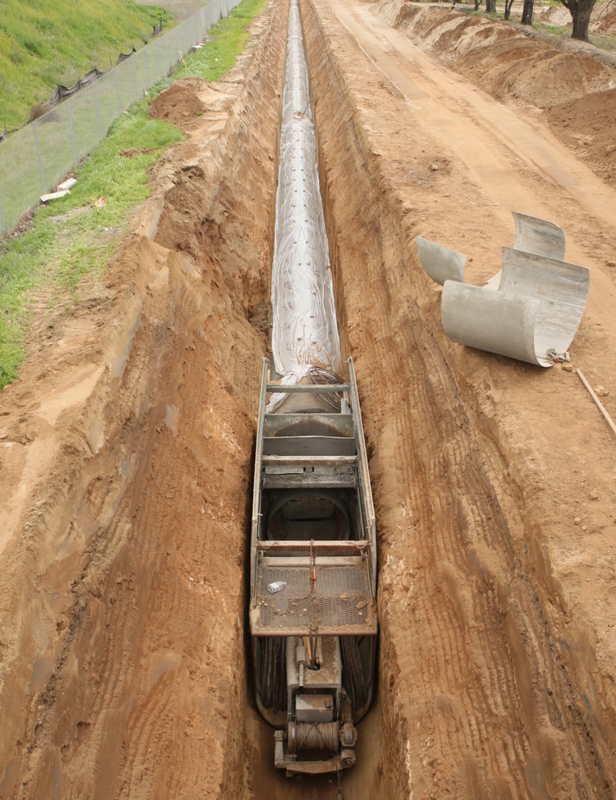 The pipe is used by both Fresno Irrigation Control and Fresno Metropolitan Flood Control District, so coordination between both agencies was required during the design and construction of the pipeline.